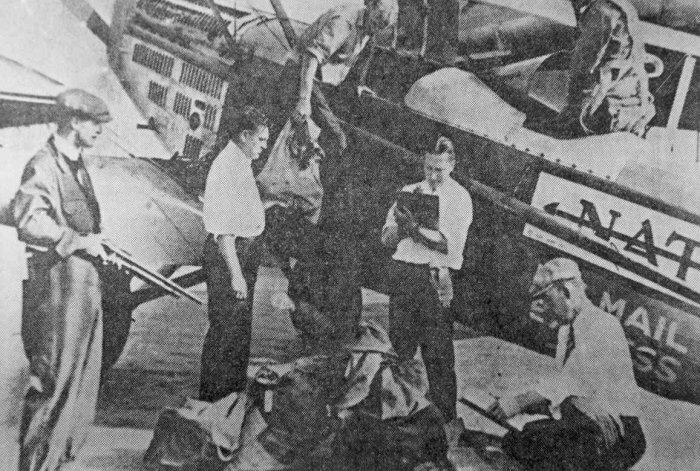 A National Air Transport plane being loaded at Hadley Field. Note the gentleman with the shotgun making sure the mail goes through. Photos courtesy of Richard Veit and South Plainfield Historical Society.